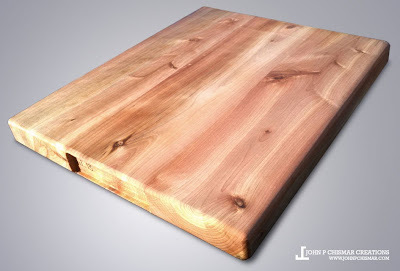 This is a cedar wood cutting board I recently created for a friend. It measures 9″x 11″. The wood is from a dead cedar tree that I air dried and milled in my workshop. This project reminded me of why I became interested in woodworking. I remember when I hadn’t the slightest idea on how to make anything from wood let alone drying and milling wood from trees. It’s very rewarding to start at the very beginning and following it through to the very end. It’s been a few weeks since I’ve posted on the blog. I’ve been busy with work and I’ve been on vacation, both balance each other out. 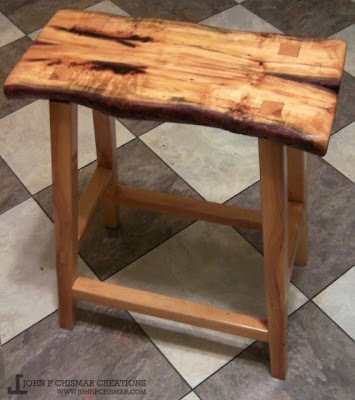 Woodworking continues to keep me busy and I found the time to complete my saddle stool. The seat is Linden wood and the structure is beech wood, I milled the lumber myself from trees knocked down by Hurricane Sandy. The finish is hand buffed tung oil. I have a few projects on the horizon; I’ll be posting about them in the coming weeks.